U.S. Army Buffalo soldiers, ca. 1866. William Elmer Harmon was born in 1862 in Lebanon, Ohio. His father, William, fought with the 70th Ohio volunteer infantry during the Civil War. After the war he served as an officer with African-American “Buffalo Soldiers” on the western frontier, dealing with Native American tribes. This group of soldiers had been created by Congress as the first peacetime, all-Black regiment in the regular army. William and Clifford Harmon (back row second and third from the left), Lebanon High School. William’s younger brother, Clifford Burke Harmon, was born in 1868. Both boys were reared in Lebanon, where their mother, Mary “Molly” Wood, also had grown up. William graduated from public school in 1881 and then, wanting to be a physician, enrolled at the Jefferson School of Medicine in Louisville, Kentucky. He married in 1883 but tragedy struck fifteen months later when his wife died in childbirth. Because of his father’s financial difficulties, William interrupted his medical schooling and returned home. Tragedy again struck, his mother dying in 1884 and his father, six months later. The family misfortunes weighed on him — he had a younger brother to care for and no professional job credentials. Harmon home in Lebanon, Ohio. At age 24, Harmon was at a crossroads. He had worked briefly as a salesman selling flowers, shrubbery and fruit trees for a local company and after two months was leading 56 other employees in total sales. Clifford B. Harmon, William’s younger brother. His younger brother, Clifford, and an uncle, Charles Wood, both living in Cincinnati, liked the idea and in 1887 they pooled their money for a total of $3,000. With that they bought land south of Loveland, Ohio, not far from Lebanon, laid out lots and built wooden sidewalks for a subdivision called Branch Hill. The amateur subdividers knew they must publicize their proposal and prepared an advertisement that practically used up all their cash. December 14, the day of the sale, they waited nervously to see what was going to happen. Buyers arrived slowly but as the day wore on, sales began to mount. From one crude ad, the entire allotment sold out in four days. The 200 lots sold for $25 each, with a deposit of $2 and payments of 25 cents a week. No taxes or interest were charged until a lot was paid in full, and all payments in advance were given a credit of 10%. People had been enabled to purchase land with a small down payment, and the public at large learned the possibilities of home ownership on a scale grander than ever before in the country. Shortcomings to this basic venture, however, were gradually revealed. Something was lacking in the mere selling of small, unimproved tracts of land. In residential communities elsewhere, necessities like electricity, telephones, natural gas, water and paved streets had become as much a part of the sales contract as the land itself. In their higher priced locations like Pelhamwood and Larchmont Gardens in lower Westchester County, Wood, Harmon & Co. included these amenities in order for lots to sell. Prices of land with improvements were rising and a higher standard of home development was starting to take hold. Encouraged by successfully navigating the changing needs of buyers, Wood, Harmon & Co. branched out. They expanded to Cincinnati and Dayton, to 26 other Midwestern cities including Pittsburgh and Chicago, and to Boston, Brooklyn, Midwood, Flatbush and Staten Island. Wood, Harmon & Co. postal card, ca. 1900. In the years just after 1900, the company spent more than $4 million for building sites in Brooklyn that were sold on small partial payments. When Brooklyn became part of New York City and Model T Fords started crossing the Brooklyn Bridge, William had jumped at the opportunity. Together with the explosion in population in Brooklyn following NYC subway extensions, the wisdom of his choice of territory was proven. He bought up farm after farm and organized multiple companies, comprising over 20,000 building lots. By 1905 Wood, Harmon & Co. had offices in 40 cities east of the Mississippi River and was acclaimed as the largest real estate operation in the world. The business relationship with his brother and uncle concluded in 1907 but William continued on in the position of chairman of the board of the Harmon Real Estate Corporation. William Harmon with his children. Harmon, just 38 years old, had become a wealthy man. He had remarried in 1890 to Catherine Griffiths of Boston. They would rear three children, living most of the time in New York City. His generosity and well-developed philanthropic plan allowed him to distribute his monies for many public needs. If a financial shortcoming came to his attention, a mysterious check would find its way to the source of that need. William retired at the age of 60 from active work in his real estate business in New York and devoted the rest of his life to the solution of social issues. He never forgot his birthplace in Ohio. In 1911 he had written to a friend, “I have a very deep conviction that one owes something tangible to the place of his nativity.” He gave more to his hometown of Lebanon than to any other destination. Harmon bought books for Lebanon’s new library that had been built on Main Street by another philanthropist, Andrew Carnegie. Next to the library, he constructed Harmon Hall, a community recreational facility. The building has housed the Warren County Historical Society Museum since 1961. 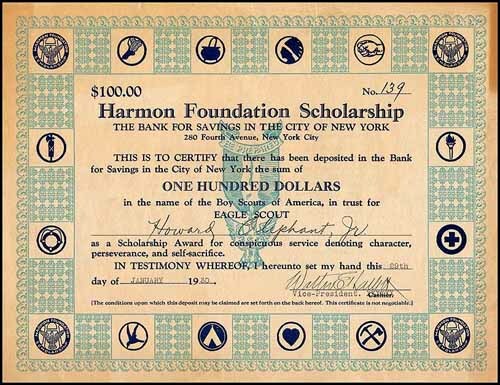 In 1922 he established the Harmon Foundation which funded parks, including playgrounds and recreational fields, in 34 states across the nation, most of them in small towns like Lebanon’s Harmon Park. That park, opened in 1912, comprises 88 acres and has a public golf course that is still called “The Augusta of the North”. The Foundation provided scholarships for Boy Scouts, a pension fund for nurses and other health care workers, rural clinics, and a child development fund. William Harmon was one of many white Americans intrigued by the flowering of African-American art and literature in the 1920s. In 1926 the Harmon Foundation began recognizing African-American achievements in music, visual arts, literature, industry, education, race relations, and science. A Harlem Renaissance program awarded cash prizes in each of these seven categories. In 1928 the Harmon Foundation sponsored the first exhibition of works created exclusively by African-American artists, and three years later the exhibit began touring the country. 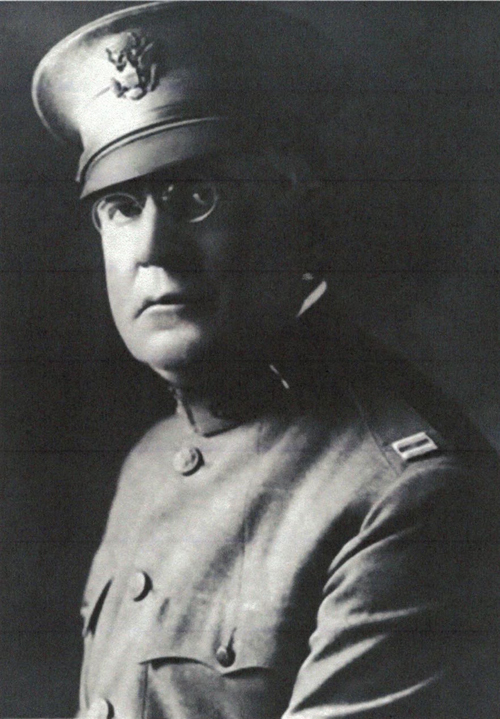 William Elmer Harmon passed in 1928 at the age of 66 in his summer home in Southport, Connecticut, after several years of failing health. His official residence at the time was 120 East 75th Street in New York City. His wife died in 1948. They are both buried at the Moravian Cemetery on Staten Island, New York. Soon after his death, The New York Times announced that the mysterious benefactor of lore was none other than the real estate developer William Harmon, aka Jedediah Tingle, who had cleverly distributed monetary gifts under the name of his maternal great-grandfather.